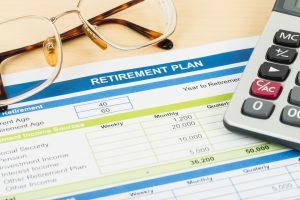 A recent study completed by Transamerica identified that even though retirement can be an exciting time, it is also one that provokes anxiety and fear among those reaching age 65 and beyond. Most people are under the impression that Medicare will assist them in the event that they have an incapacitating event. While this is true to an extent, more serious problems like cognitive decline or long-term care concerns will likely not be covered by Medicare and you should have a plan in place to protect you with those. This is one of the biggest reasons that Americans are concerned with outliving the money they have set aside for retirement. Financial support can come from many different places but advanced planning is required for all of them. Scheduling a consultation with a knowledgeable estate planning attorney today can help you see how tax planning, charitable giving, estate planning and long-term care planning can all work together to give you a more powerful future.